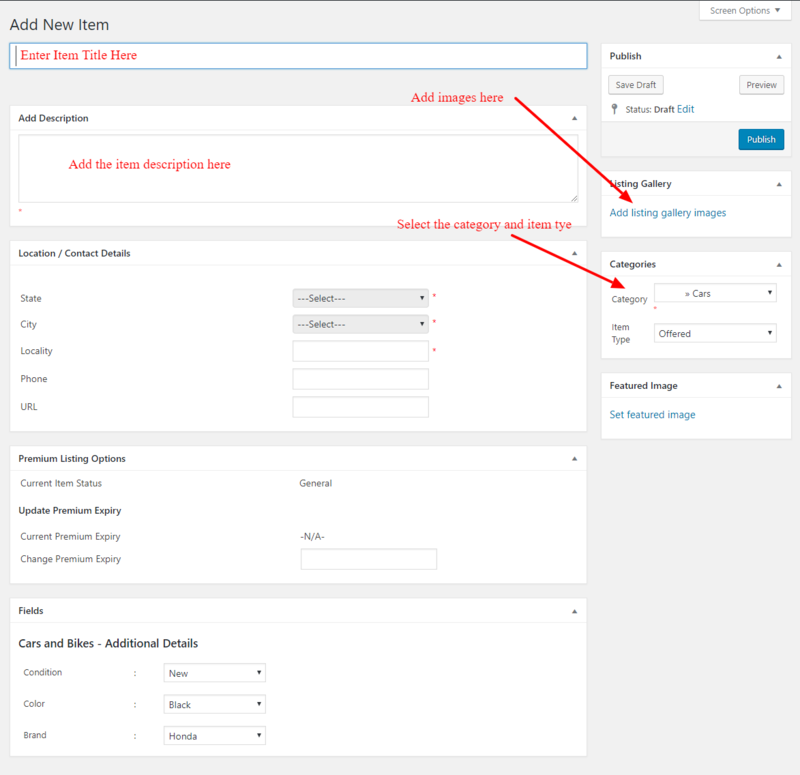 In this section Admin can add items to the site. For this please click on the “Add New” link in the “Classifieds” menu. Now admin can add the new item. Here enter the title, description, categories, images and other fields and publish the item. It will display in the home page under recent listings. To see all the items, click on the “All items” menu and we can see all the items.